Enjoy time in your backyard more than ever before in a new gazebo! These structures are a wonderful place to sit and relax. On a hot summer day, escape to the coolness of a gentle breeze in the shade of your Amish Gazebo. Possibilities are endless—poolside cabanas, backyard picnicking…really anything you can dream of! 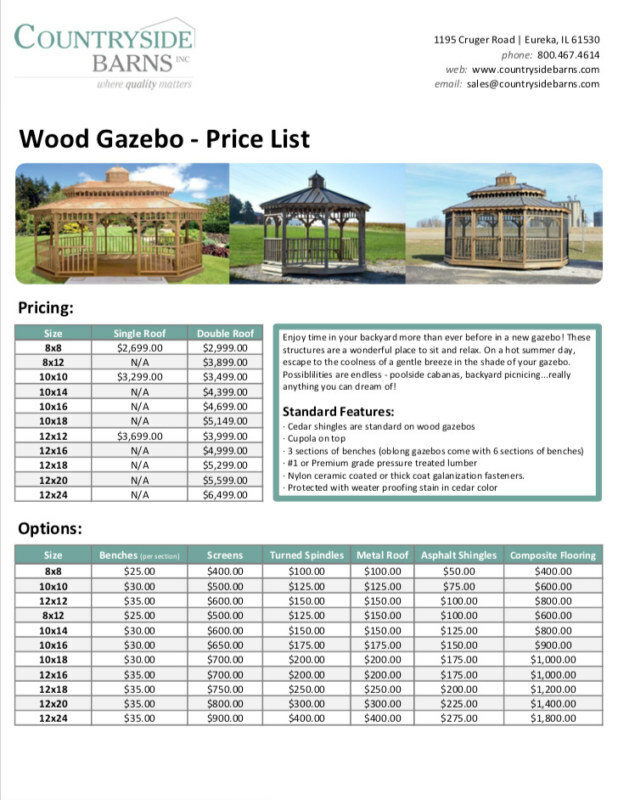 Please explore below to see our different kinds of gazebos for sale! 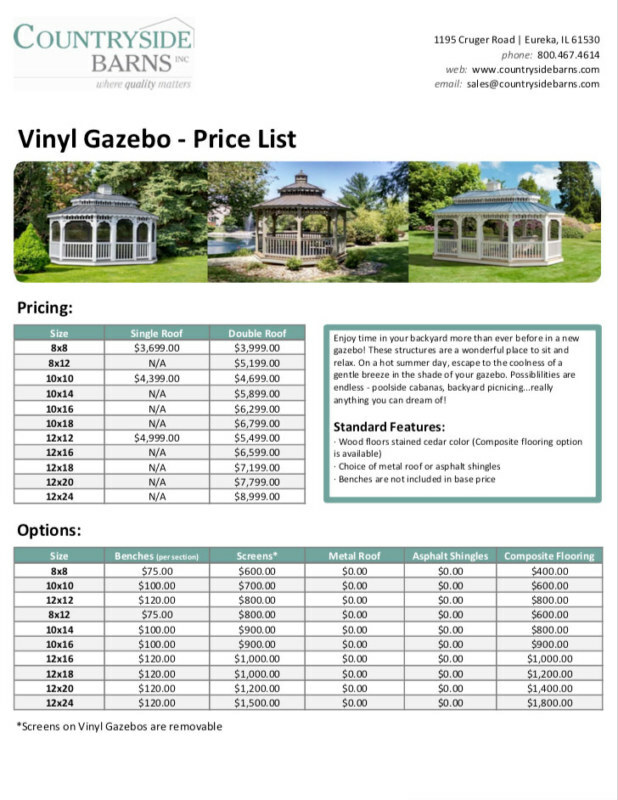 Explore the options for customizing your gazebo, such as adding benches, screens and floor upgrades, in the PDF downloads below.